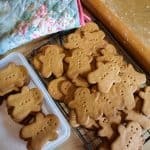 I’ve been baking Sweet Gingerbread Men for as long as I can remember, it’s a bit of a family tradition both my mum and her mum made gingerbread men around Christmas time. 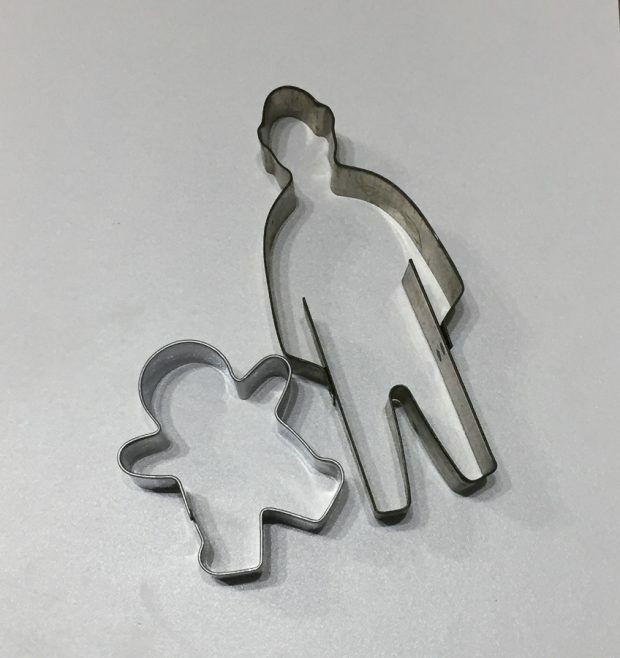 I still have my gran’s original Gingerbread Man cutter which she gave me when she stopped baking, it’s the large cutter with a sort of ‘hat’ or maybe ‘ears’? 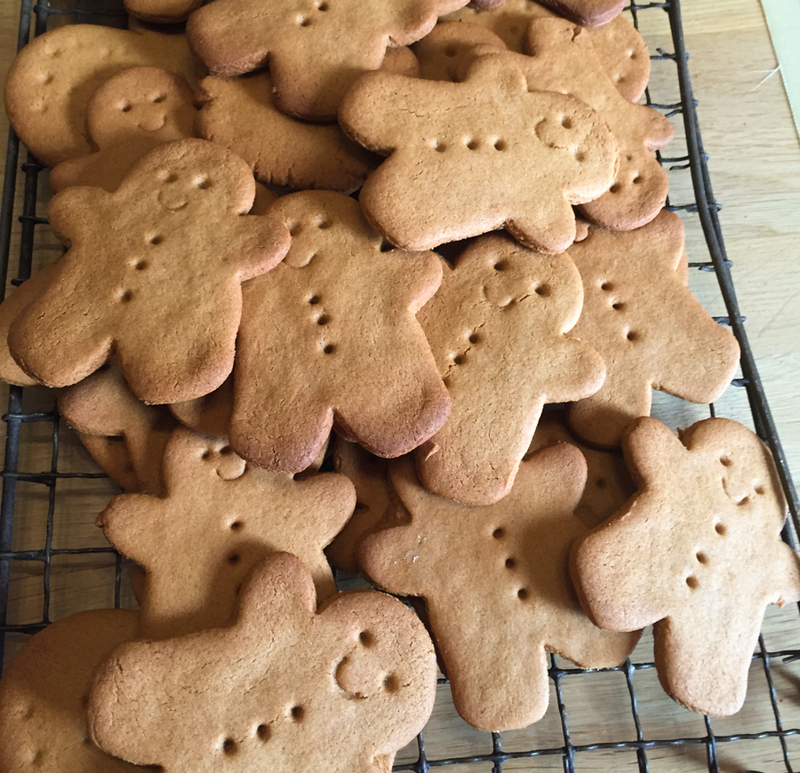 These days I find that the large gingerbread men are just too much for us to eat, so I managed to source a mini cutter which makes the perfect Sweet Gingerbread Men. Whenever I make Gingerbread Men I think of the song made famous by Sammy Davis Jnr. 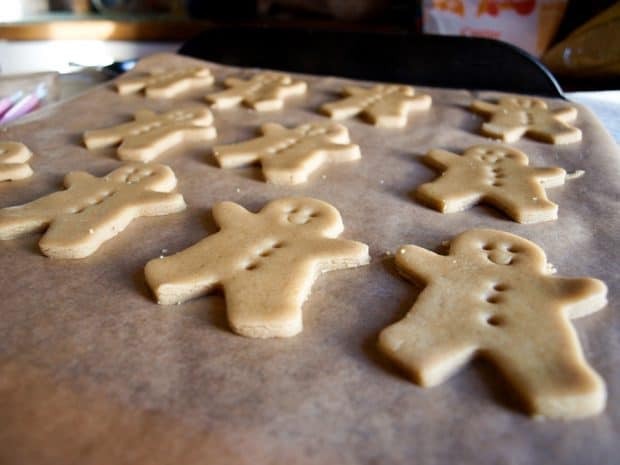 The mixture for making the Sweet Gingerbread Men is straightforward to prepare, however, when rolling out the dough I would recommend cutting it into four pieces and working with one piece at a time. You can re-roll the dough but, it does become harder to work as it cools. I use fondant icing tools to mark out the buttons and eyes, I was particularly pleased to find a tool that is a ‘C’ shape and makes a lovely smile for the little characters. I roll my dough onto a piece of baking parchment as it is very sticky and will stick to your work surface. Be careful when lifting the cutouts onto the baking tray, also lined with baking parchment, because they can distort. Add the features after you have transferred the shapes to the baking tray. Keep the dough pieces apart as they will spread a little. You don’t have to stick to Gingerbread men shapes, if you have other cutters, you can make any shape you like. I made Gingerbread Mittens, I was rather pleased with the ‘knitted’ rib cuff for my mittens! 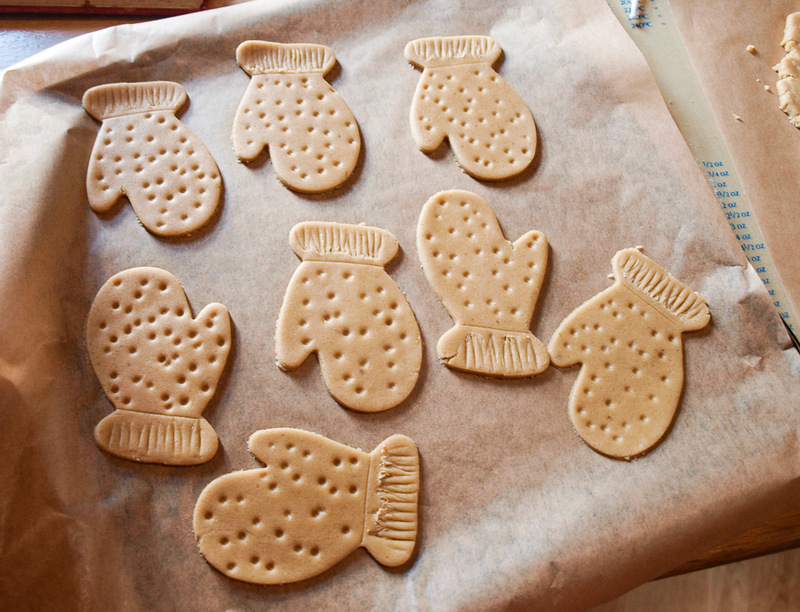 Crunchy gingerbread biscuits (cookies) cut in the shape of little people. Place syrup, butter and sugar in a large saucepan. Heat gently until melted. Remove saucepan from heat leave for 5 minutes to cool slightly, add the egg and sift the flour ginger and bicarbonate of soda on to the syrup mixture. Beat with a wooden spoon until well mixed and smooth ball. Cool for 5 to 10 minutes or until mixture is cool enough to handle, then transfer mixture to work surface and knead lightly. 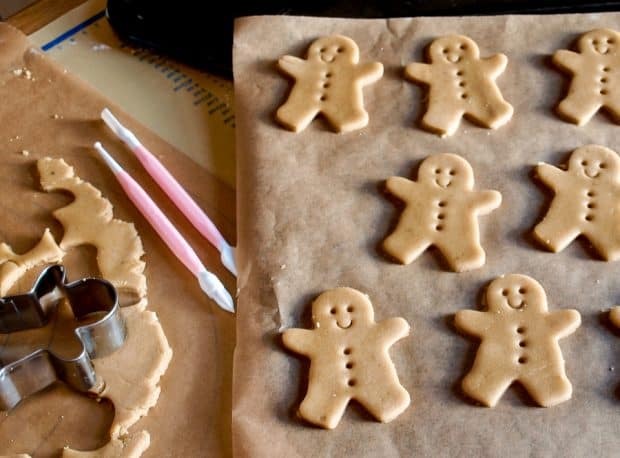 Roll out out thinly and cut out the gingerbread men with a cutter. Reroll the trimmings and cut more figures. Place shapes on to baking sheets covered with baking parchment. Remove from the oven, and leave on the trays for a few minutes until the biscuits firm then remove to a wire rack to cool completely. If you roll the dough and cut out directly onto the baking parchment it is less likely to stick I use cake decorating tools to mark the features on the gingerbread men You can store the biscuits in an air tight tin or plastic box for about a month, but they also freeze well and you can keep them for 3 months. You may need to refresh them in a hot oven for a couple of minutes to make them crisp again. I have a word of warning for you…if you make these Sweet Gingerbread Men once, you will be expected to make them every year, until you can pass on the mantle to the next generation. What are your Christmas baking traditions? I’m feeling very nostalgic – I don’t think I’ve eaten a gingerbread man since … well, I can’t actually remember. That’s a lovely traditional bake. I’m jealous of your family baking traditions. I can’t claim to have any of those although for the last 10 years or so I’ve made biscotti at this time of year. (That’s more to do with my love of dessert wine than any tradition, though). Aw, thanks Phil. Nice to hear that you are starting your own tradition. So cute Janice and I love the traditional family element. I don’t know this song, I always associate gingerbread men with “run, run as fast as you can, you can’t catch me I’m the gingerbread man”. Such a fun thing to make Janice, what a lot of gingerbread men! Thanks Caroline, they will soon be eaten when my family arrive for Christmas! 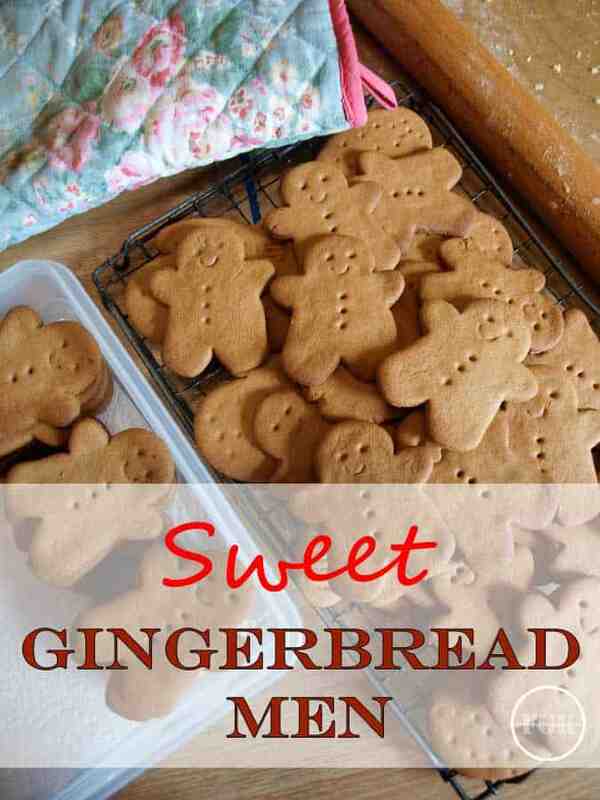 Ooh I love here sweet Gingerbread men. 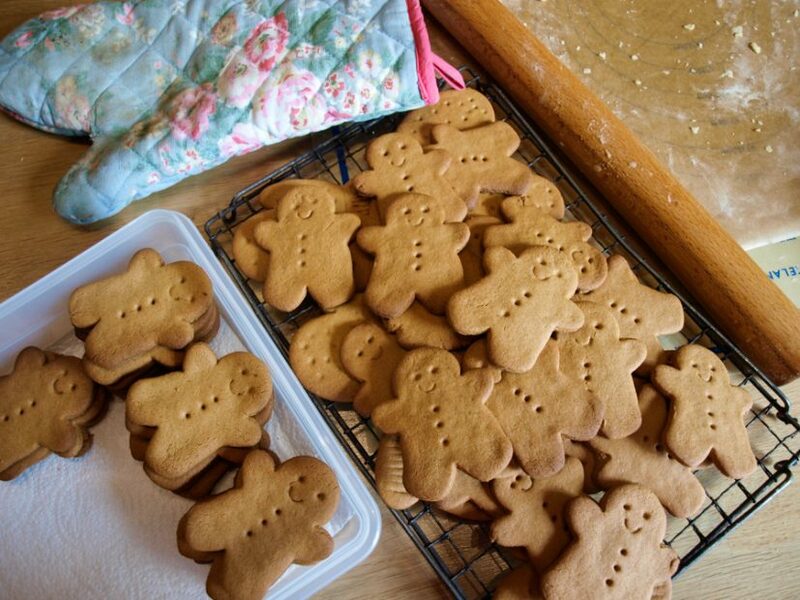 I haven’t actually got round to baking gingerbread yet this year so have Pinned ready to make. Thanks Sammie, I’m sure you will enjoy making and eating them!